GENERAL APPEARANCE: Though Sayuri has her own type of style, as anyone else would, she does not usually show it off. She tends to always wear the Organization cloak instead of other clothes unless she needs too. But no matter what she has on, be it the cloak or regular casual clothes, she always has long gloves on that cover most of her arms. BEST MEMORY: Though it was not a very good encounter to an extent, Sayuri's best memory is when she met Akiharo. Their mission and attitudes were less than ideal toward one another but it was the day they began to become friends and now she looks back at that day as the best one she's had because of their meeting. WORST MEMORY: Her worst memory, ironically enough, also has to do with Akiharo. During one of their missions, at Port Royal, Akiharo had a sort of blackout and it seemed like darkness possessed him somehow. Afterwards, he did not remember who she was and even tried to attack her because he seemed to fear her. GREATEST DESIRE: To learn about her past. About Akira and how her past is connected with Akiharo's. PERSONALITY: Sayuri is the type of girl who doesn't like to be around others. She tends to keep to herself and rarely talks unless she is asked something or told to answer someone. The only people she will actually hold a conversation with are Akiharo and Luxord. She tends to be sweet but rather rough around Akiharo and around Luxord she seems a bit shyer though. The girl also tends to over think things and ends up hurting herself with her own thoughts at some points because she doesn't know what to do with all the thoughts that float around in her head. 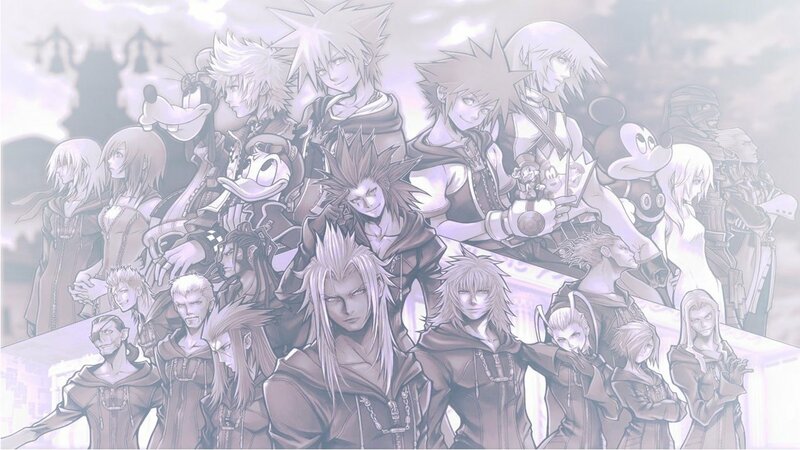 The two met when they were assigned to the same mission in Wonderland by Xemnas. They have grown close since then, finding out that the two of them are connected by their pasts. OTHER: Akiharo - She gets along well with him and while they have their fights from time to time they get their jobs done quickly and without much trouble. CHARACTER'S PAST: Many things about Sayuri's past are still unclear to both her and everyone who knows her. No one really knew where she came from or who her Somebody is. After meeting Akiharo though, it became clearer that they two of them are connected by something in their pasts, and the name of her Somebody is Akira. It seems like Sayuri and Akiharo's Somebodies were friends or something of the sort in the past before they were separated and though the two of them still exist, Akiharo and Sayuri exist as well. CHARACTER'S FUTURE: Sayuri more than anything, wants to know why she exists. She wants to know how she came to be and why. She wants to find out why she can weird the keyblades she has and how she and Akiharo are actually connected. In the future she hopes to come across the answers she seeks and hopefully be able to return to Akira someday. RP EXPERIENCE: 3 years-ish. Longest post is probably like six to seven paragraphs. HOW YOU FOUND US: Merp. PURPOSE OF CHARACTER: Revamp .-.